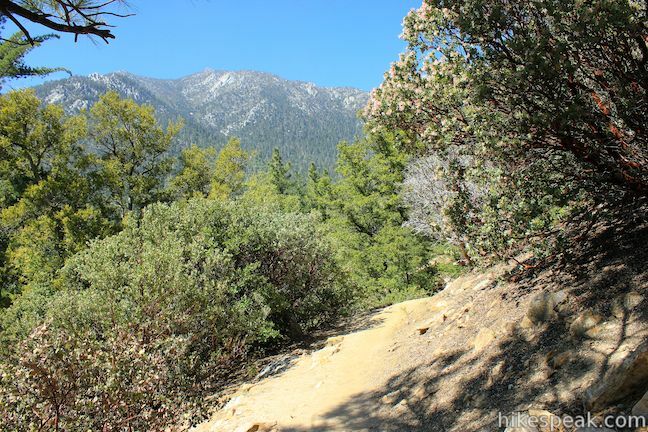 The San Jacinto Mountains are a steep rugged mountain range full of challenging trails that put hikers to the test… Ernie Maxwell Scenic Trail is not one of those trails. 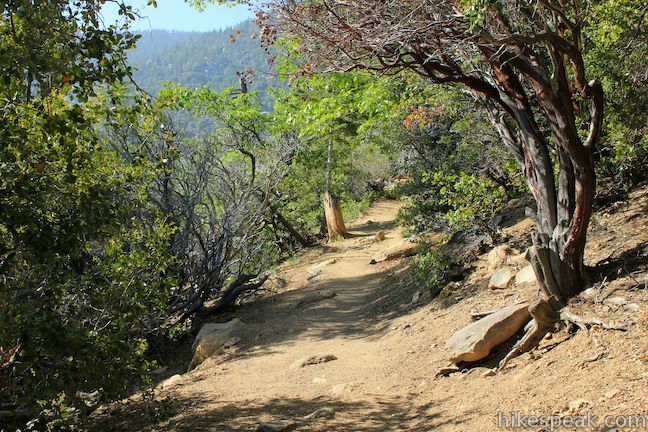 This leisurely alternative is 5.2 miles round trip with 675 rolling feet of elevation change. 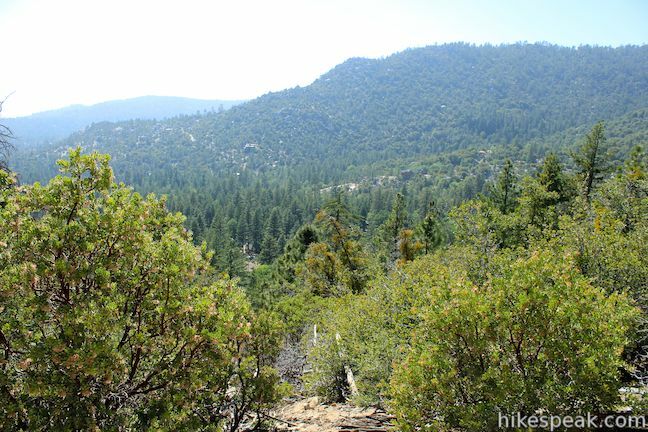 The gradual and enjoyable dirt single track overlooks the mountain community of Idyllwild and is appropriate for hikers of all abilities. 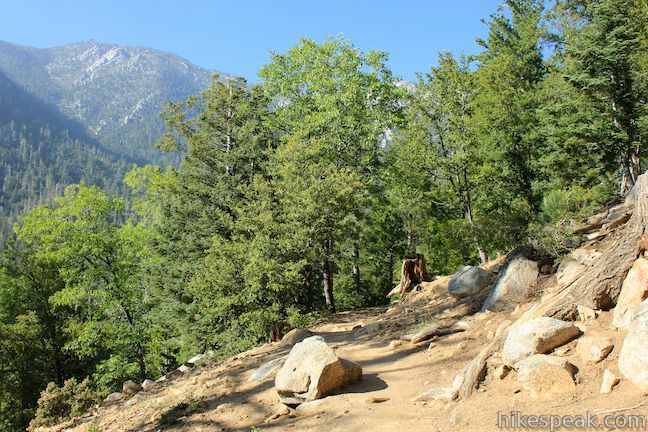 The trail passes peaceful streams, quiet forests, and sterling San Jacinto Mountains views of Tahquitz Rock and Strawberry Valley. 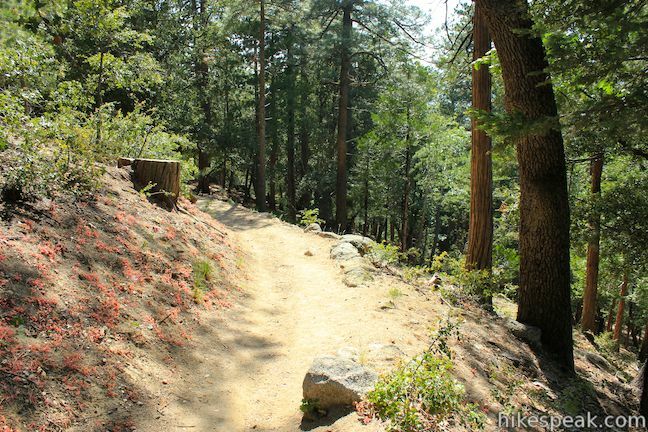 Ernie Maxwell Scenic Trail runs south and downhill from Humber Park to an alternate trailhead on Tahquitz View Drive in Idyllwild. 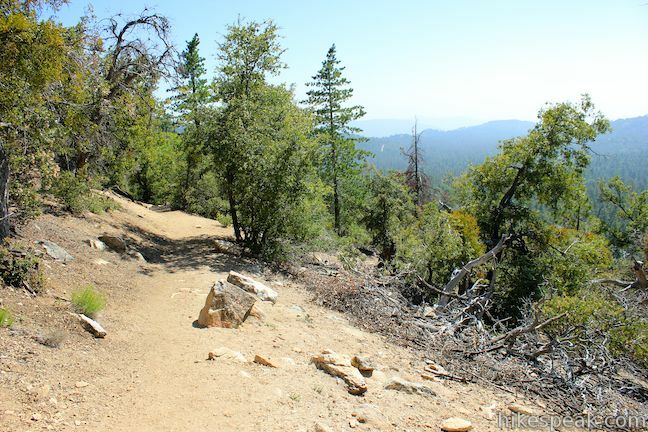 Those with a second vehicle and less time to hike, can use Ernie Maxwell Scenic Trail as a 2.6-mile one-way shuttle hike. 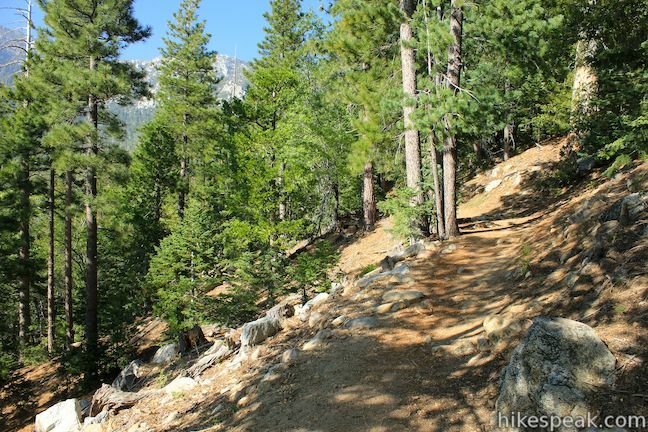 However, the trail displays different views in both direction, making it a worthwhile out and back track. Even if the destination is just another road, the journey is rewarding enough to cover twice. 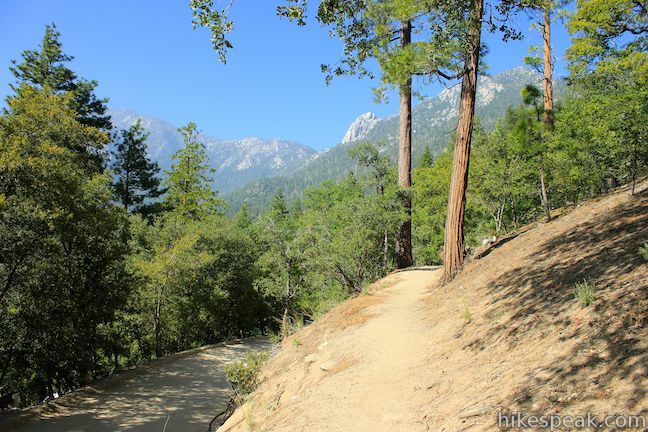 Start from Humber Park, a trailhead in San Bernardino National Forest on the edge of Fern Valley, a community that neighbors Idyllwild. 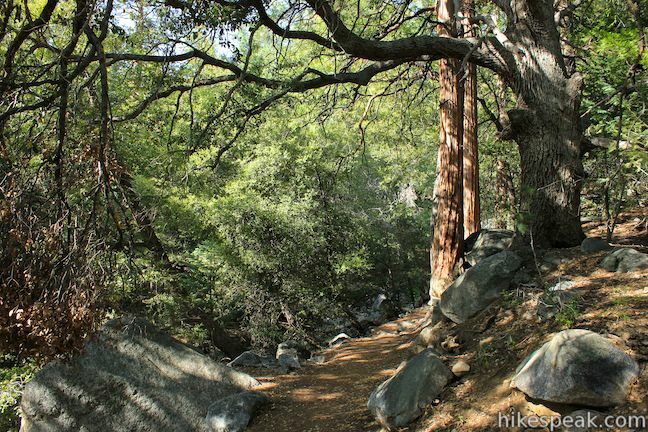 Humber Park has parking for Ernie Maxwell Scenic Trail as well as trails to Tahquitz Peak, San Jacinto Peak, and the Devil’s Slide. 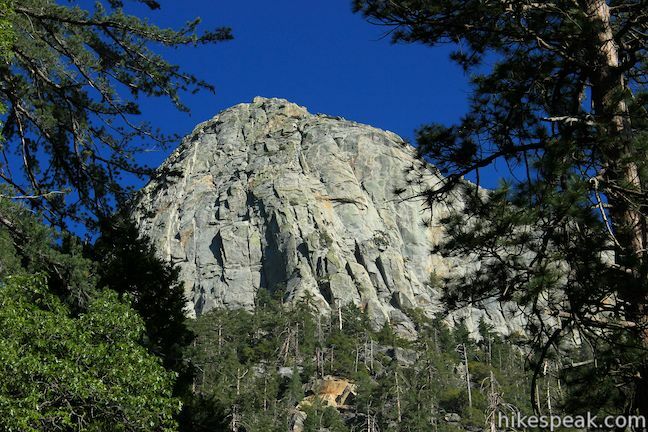 Before you take a single step down Ernie Maxwell Scenic Trail, you will get a scenic view of Tahquitz Rock, also know as Lily Rock, a sheer granite peak busting above the pines just east of the trailhead. 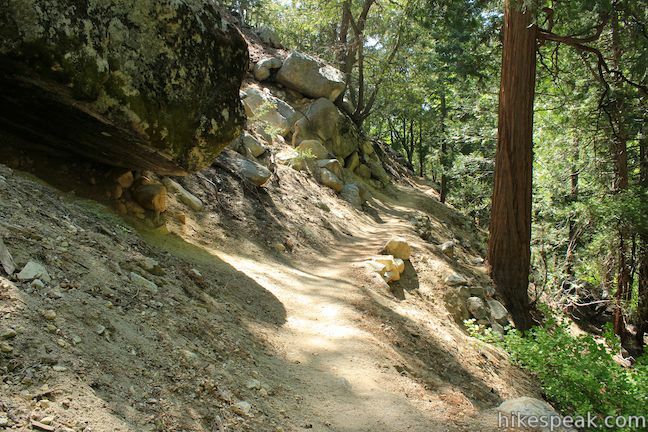 Start down the dirt single track, which immediately descends to a creek where water cascades down a slick rock slope. 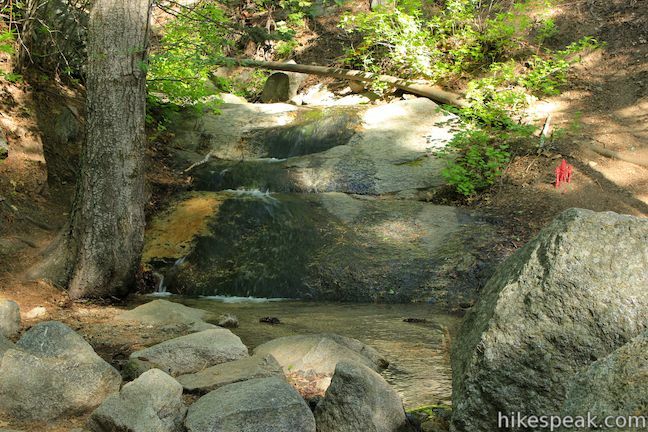 It isn’t a particularly big cascade, but it is a lovely way to start the hike. Crossing the stream, Ernie Maxwell Scenic Trail ventures out of the draw and along a mountain slope to a junction with a path on the left labeled Climber Trail (0.1 miles past the stream and 0.2 miles from the trailhead). 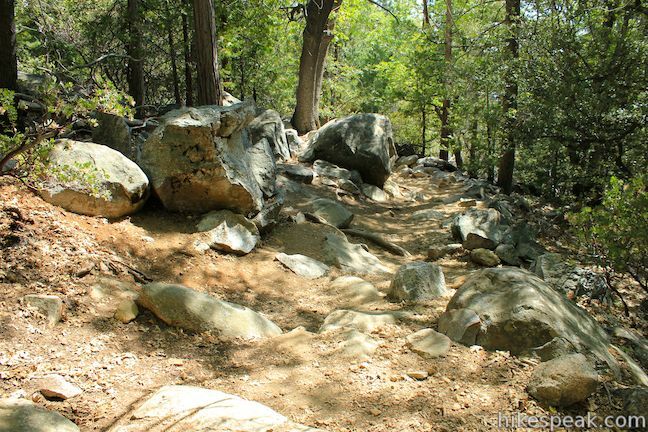 Rock climbers can use this path to reach Tahquitz Rock. 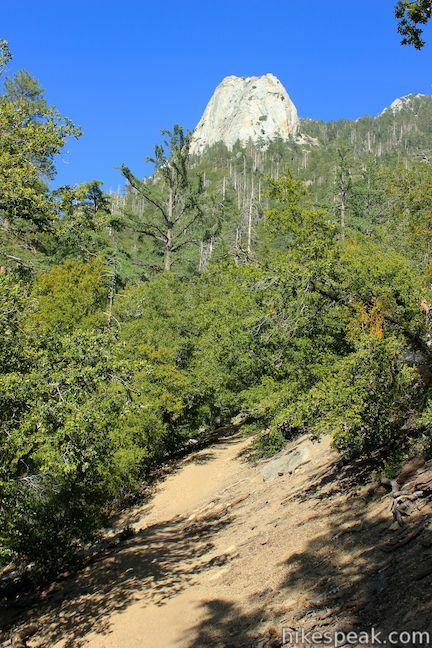 As you continue straight on Ernie Maxwell Scenic Trail, be sure to check over your left shoulder for views of the thimble-shaped granite peak of Tahquitz Rock rising above the trail. 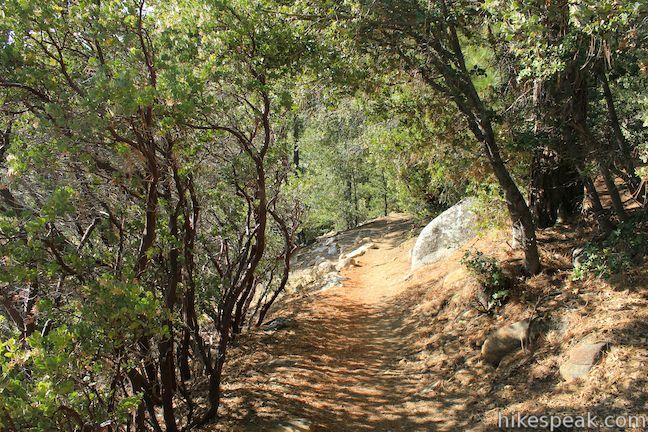 The trail is downhill overall, but has several uphill stretches as it rolls along the mountain slope. 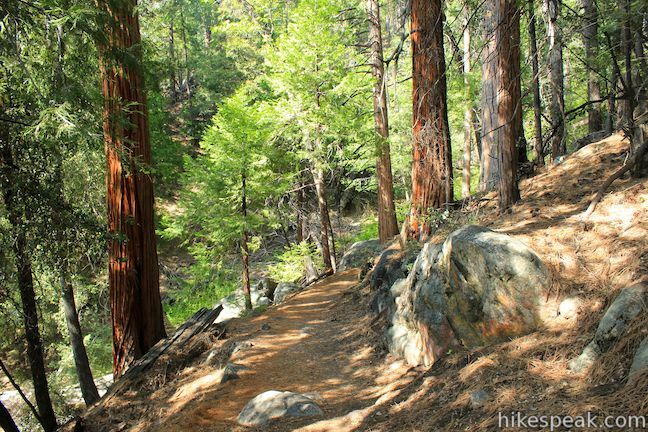 Pass through groves of incense cedars, oaks, and pines (Jeffrey pines, Ponderos pines, and Coulter pines) that provide intermittent shade. 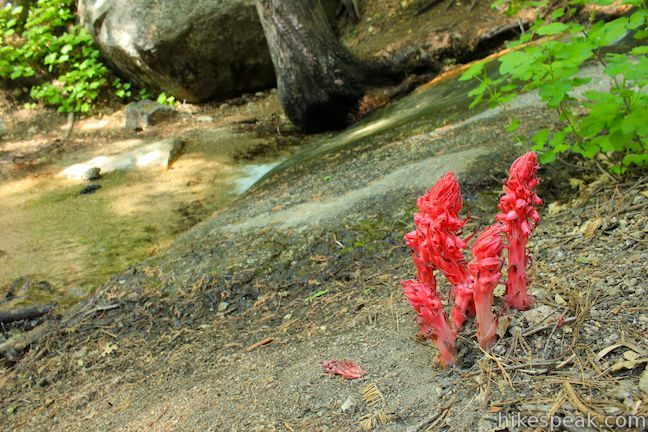 In the late spring and summer, you’ll find lupines, wallflower, and blue dicks blooming in pockets of sunlight. 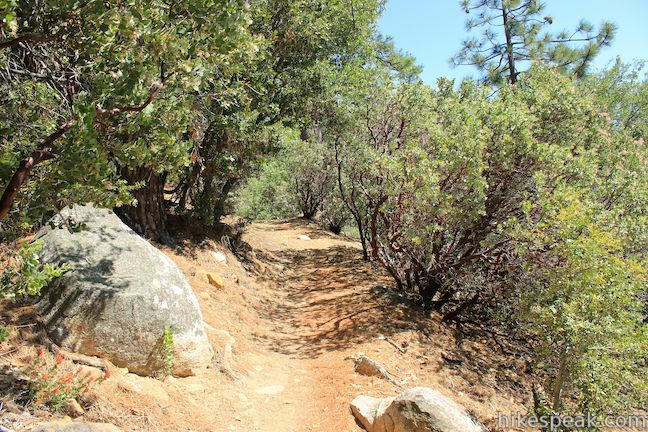 Other areas of the trail are dominated by manzanitas that are low to the ground and offer windows across Strawberry Valley, the pine-covered basin cradling Idyllwind. 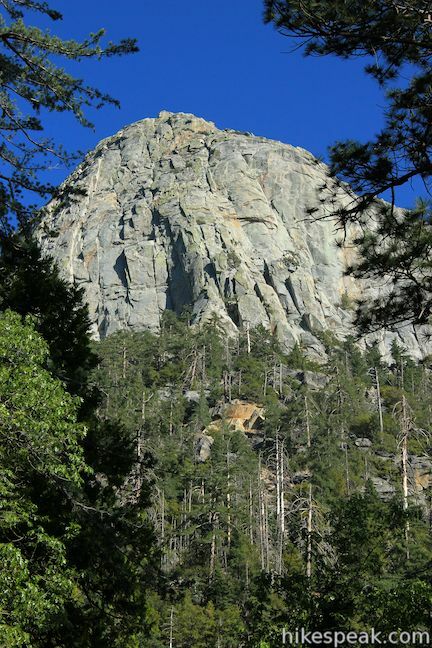 At the north end of Strawberry Valley, you’ll spot a granite mound called Suicide Rock, backed by Marion Mountain, a towering 10,362-foot peak. 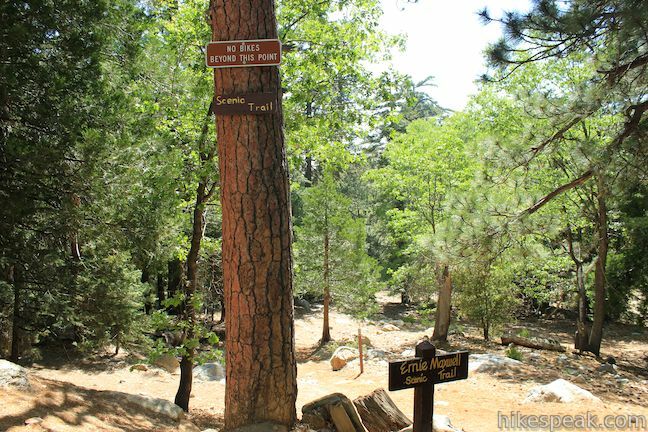 Pass a park boundary sign at 0.6 miles, and continue down the well-maintained trail. 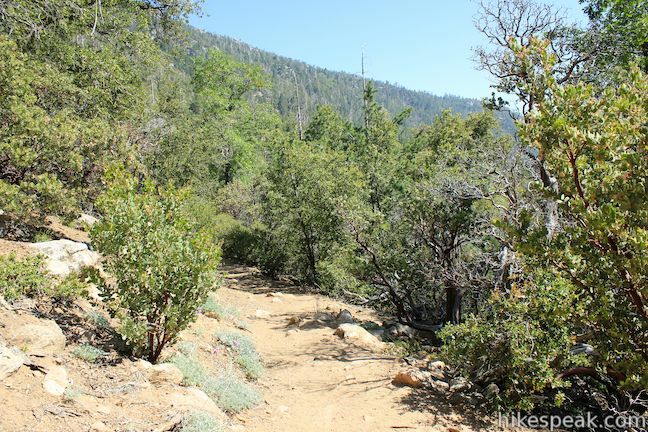 At 0.75 miles from the start, stay to the left past a path heading down the mountainside to the right. 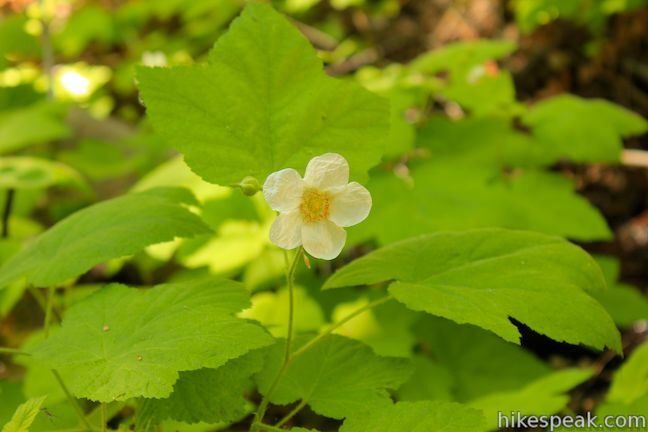 You will cross a babbling mountain stream, 1.5 miles from the start of Eddie Maxwell Scenic Trail that is flanked by wildflowers and other greenery. If you are reluctant to leave the creek, don’t be. Another stream is a few hundred feet farther down the trail. Both tricklers make peaceful spots to stop for a break. 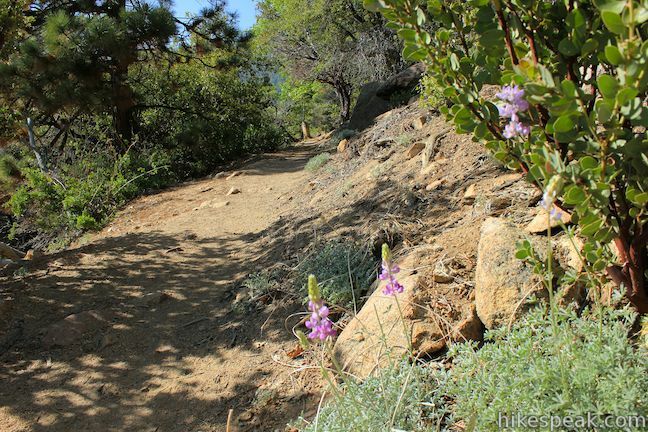 At 1.9 miles, you will pass another path heading down the mountainside to the right that connects to Sunset View Drive. 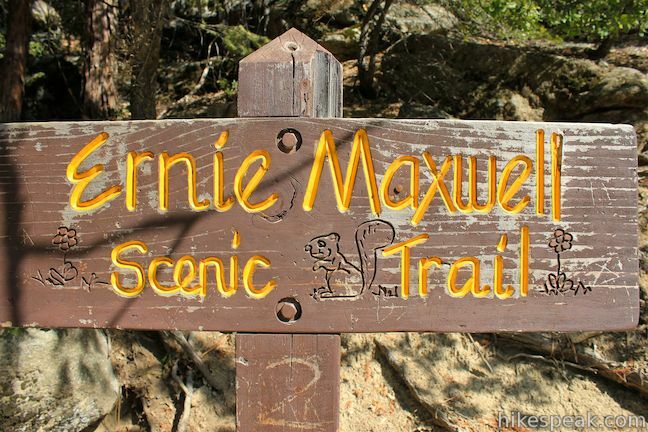 Continue straight on Ernie Maxwell Scenic Trail through more pleasant woodland. 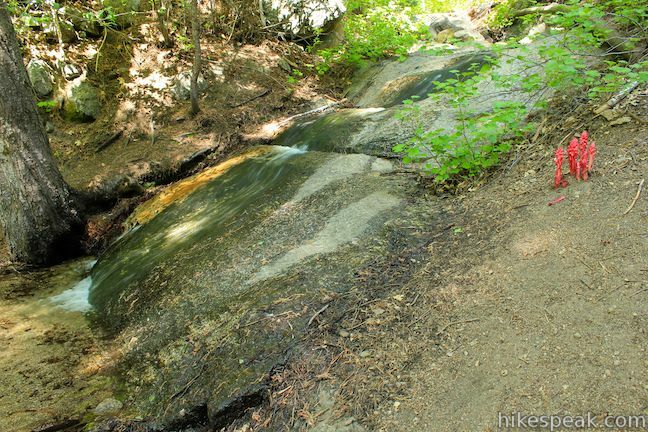 You will cross a typically dry seasonal creek a tenth of a mile from the end of the trail. 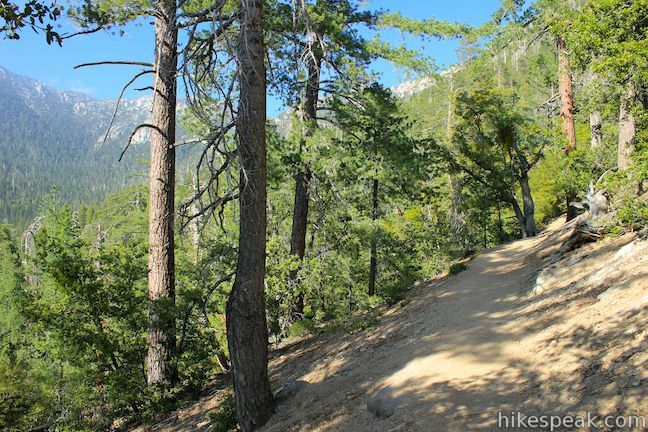 After descending 675 feet in 2.6 miles, you will reach Tahquitz View Drive, the anticlimactic conclusion of Ernie Maxwell Scenic Trail. Turn around and hike back to Humber Park. 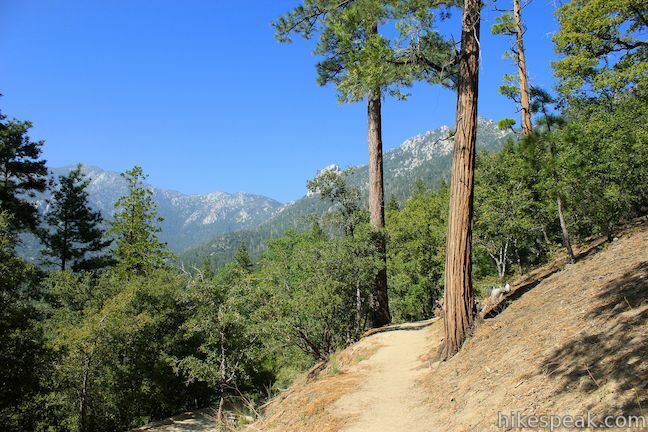 Ernie Maxwell Scenic Trail takes its name from Ernie Maxwell, the founder of the Idyllwild Town Crier, and an advocate for the outdoors who wanted a horse trail from Idyllwild to Humber Park. 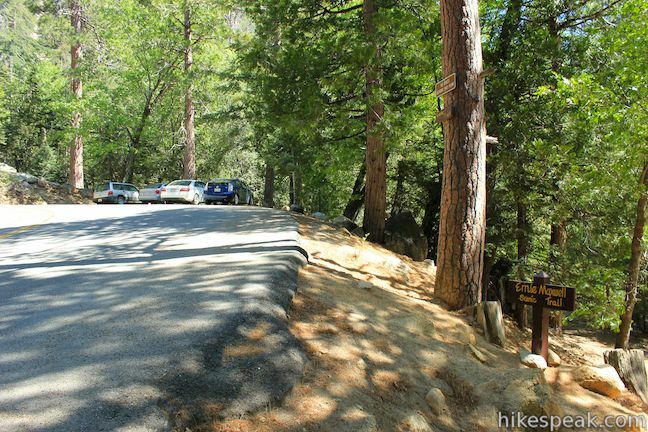 No permit is required to hike Ernie Maxwell Scenic Trail, but any vehicle parked in Humber Park will need a National Forest Adventure Pass ($5 per day or $30 per year). 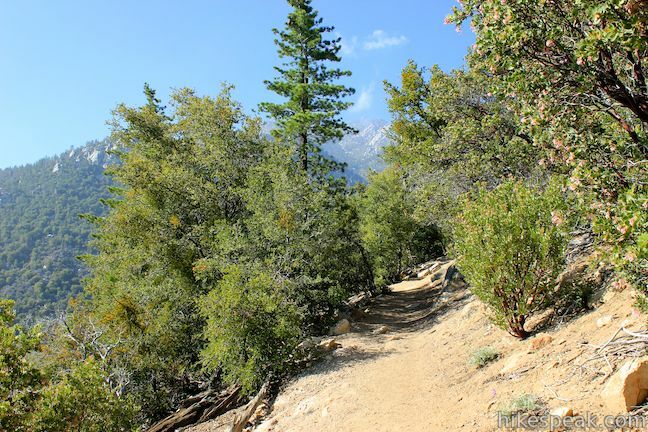 Bikes are not allowed on this leisurely trail, but horses are allowed, and dogs are permitted on leashes. 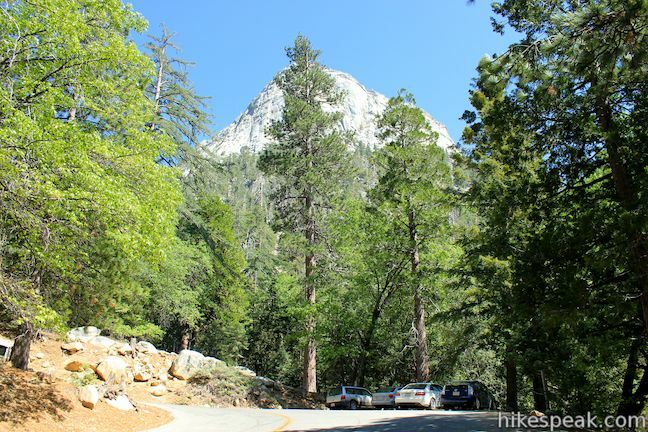 To get to the trailhead: Take Route 243 to Idyllwild and turn east on North Circle Drive. After 0.8 miles, bear right on Pinecrest Ave and make an immediate right on South Circle Drive. 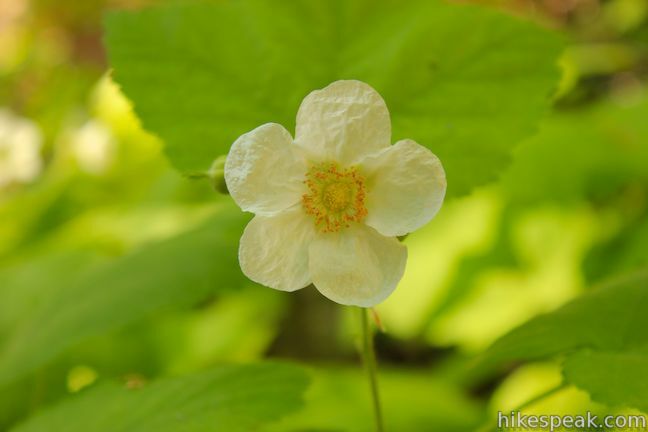 Make the next left onto Fern Valley Road and drive 1.7 miles to the trailhead (after half a mile, you will need to make a left turn to stay on Fern Valley Road). The trailhead is on the right, past a few holding tanks, directly across from the sign at the entrance of Humber Park. 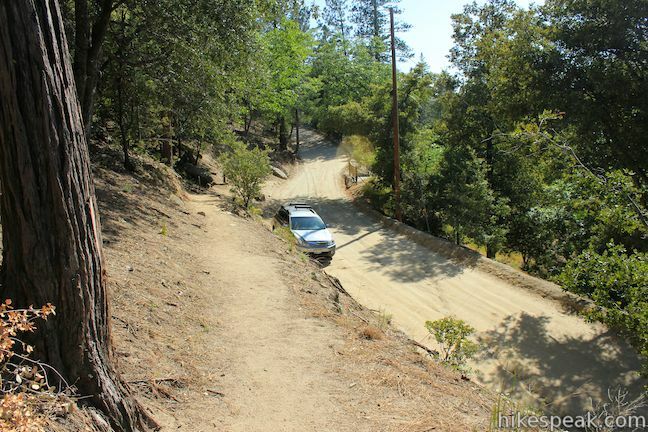 There are parking spaces along two bends of Fern Valley Road just above Eddie Maxwell Scenic Trail. 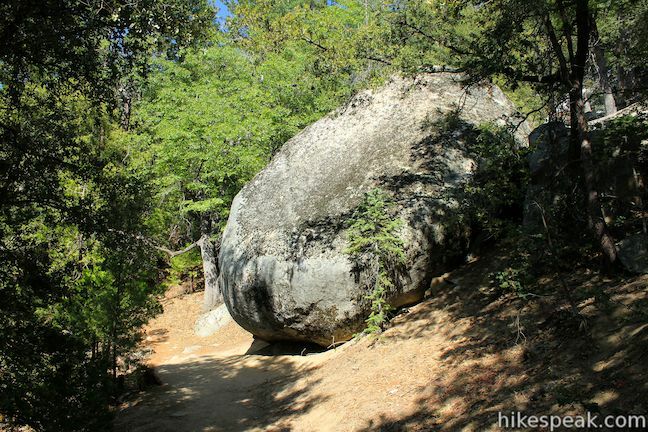 If you reach the loop at the top of Fern Valley Road where there are bathrooms and the start of Devil’s Slide Trail, you’ve gone too far. 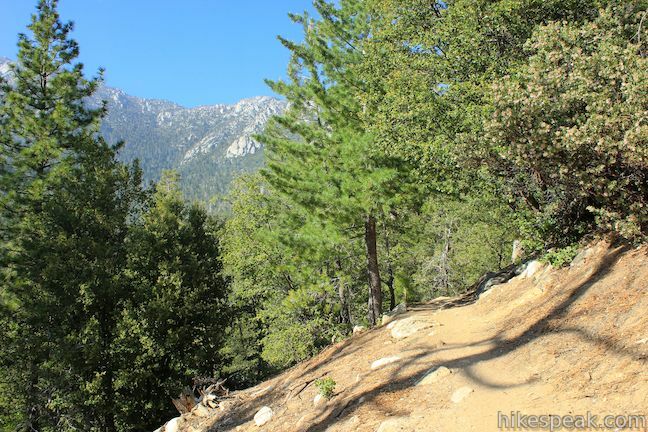 The other end of Eddie Maxwell Scenic Trail is located across from 54980 Tahquitz View Drive in Idyllwild. 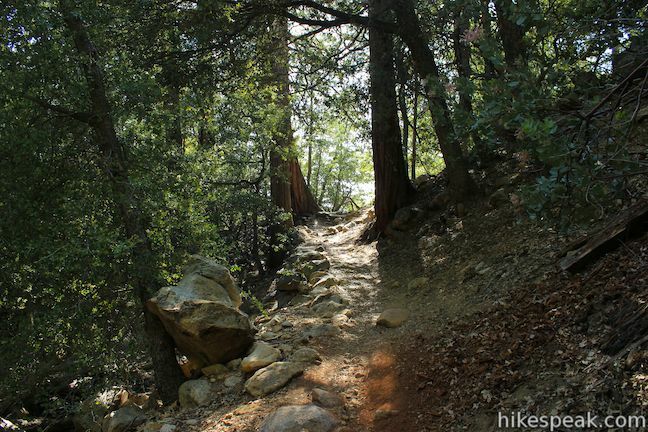 You may also view a regional map of surrounding Southern California trails and campgrounds. 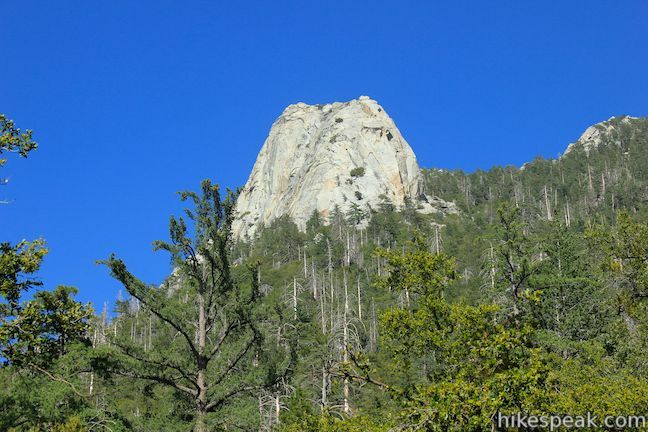 This non-nonsense 13.2-mile round trip hike ascends 4,500 feet to one of Southern California's most panoramic summits. 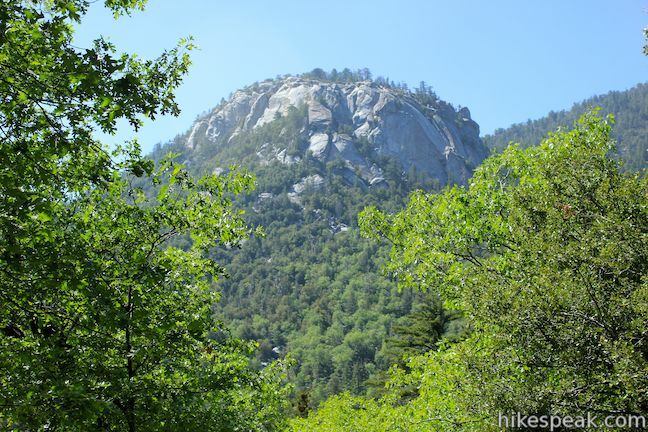 This 6-mile round trip hike crosses a saddle to a 5,790-foot summit with views of the mountains around San Jacinto Peak near Idyllwild. 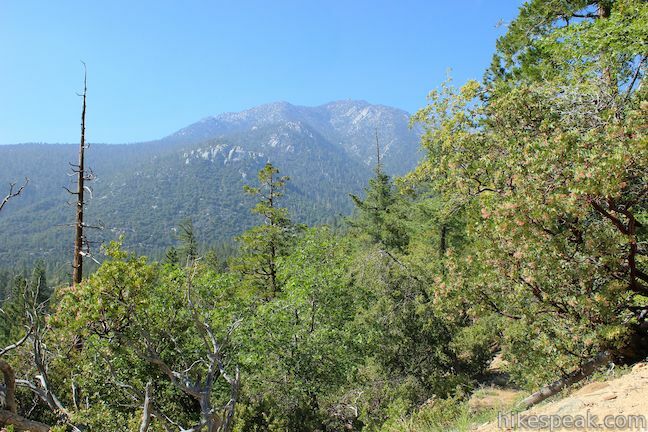 This 3.75-mile loop in Whitewater Preserve crosses Whitewater River and incorporates a section of the Pacific Crest Trail to deliver big views up and down Whitewater Canyon on the east end of the San Bernardino Mountain. 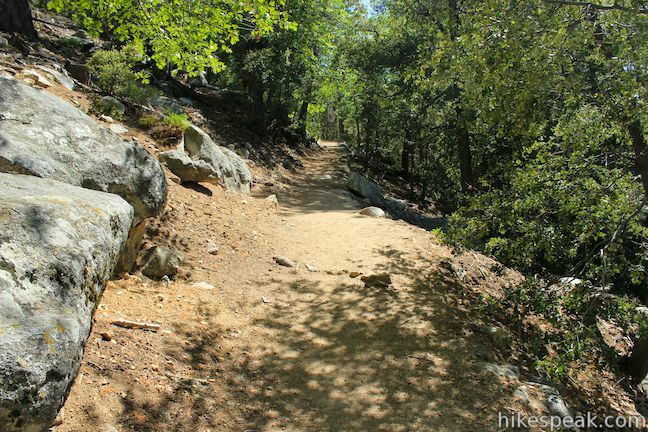 are dogs allowed in this trail? sure are, only 3 trails in the area allow dogs !! 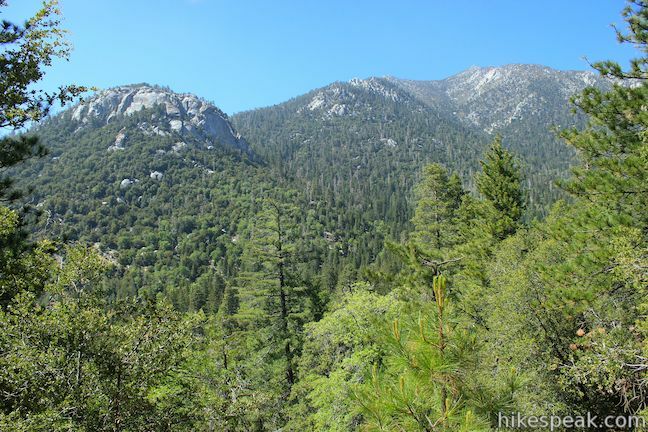 need a wilderness permit and an adventure pass! 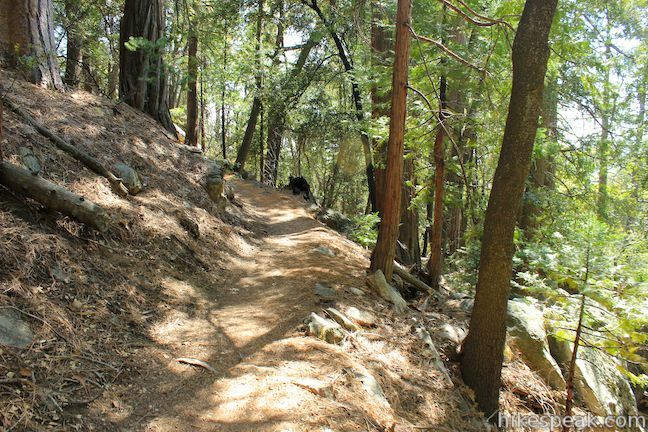 What are the other 2 trails that allow dogs? 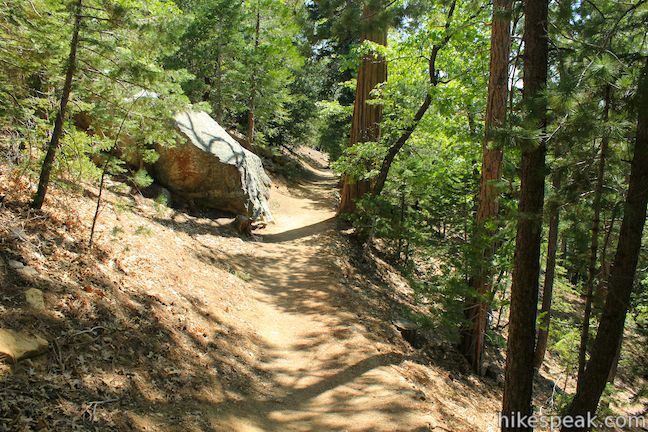 We are planning to bring our twin 10 month olds on this trail this weekend. 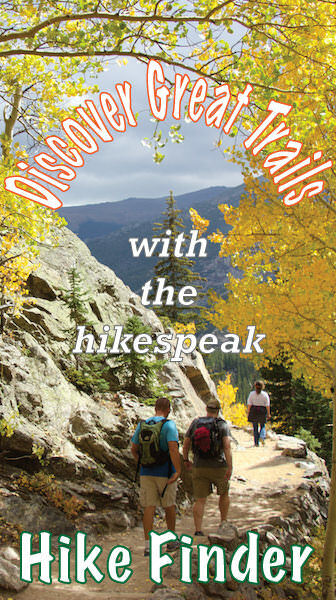 I’ll let you know how it goes if you haven’t done the trail yet. 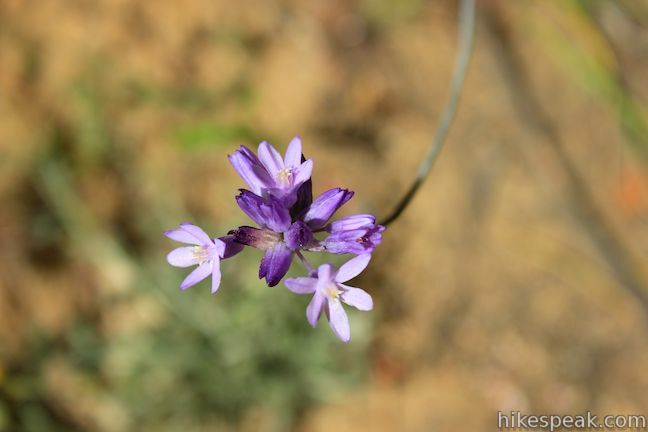 Went on trail 5/23/15 with friends. 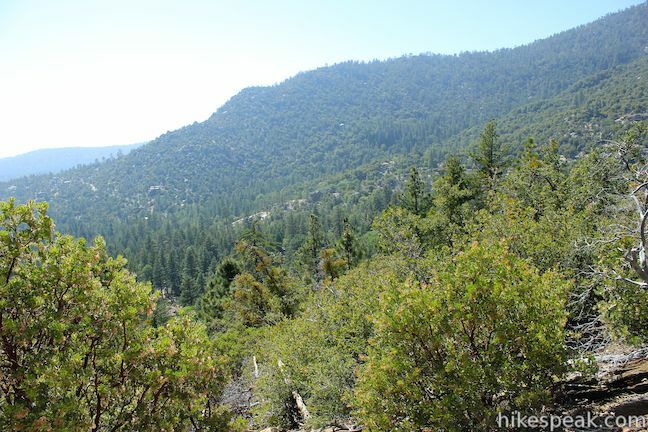 Very much enjoyed this hike. Great for beginners striving to build up endurance. Make sure you wear proper shoes. 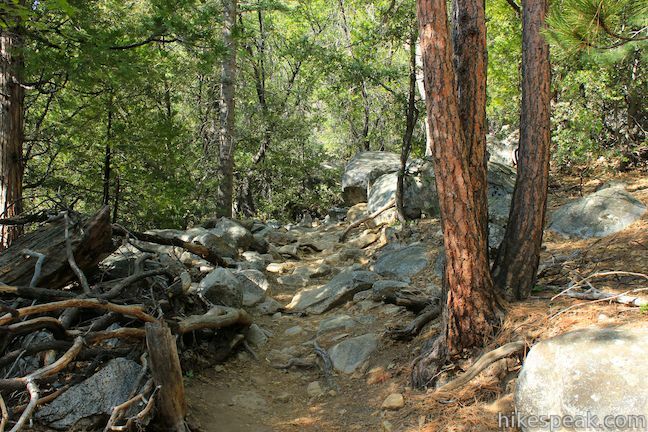 Loose rocks and slippery ground on our hike. It was an overcast and damp day but still fantastic. Excellent direction and info from this site. We ate at Café Aroma in town. Good food, a bit pricey but worth it. Plan to return when weather is sunny and clear.